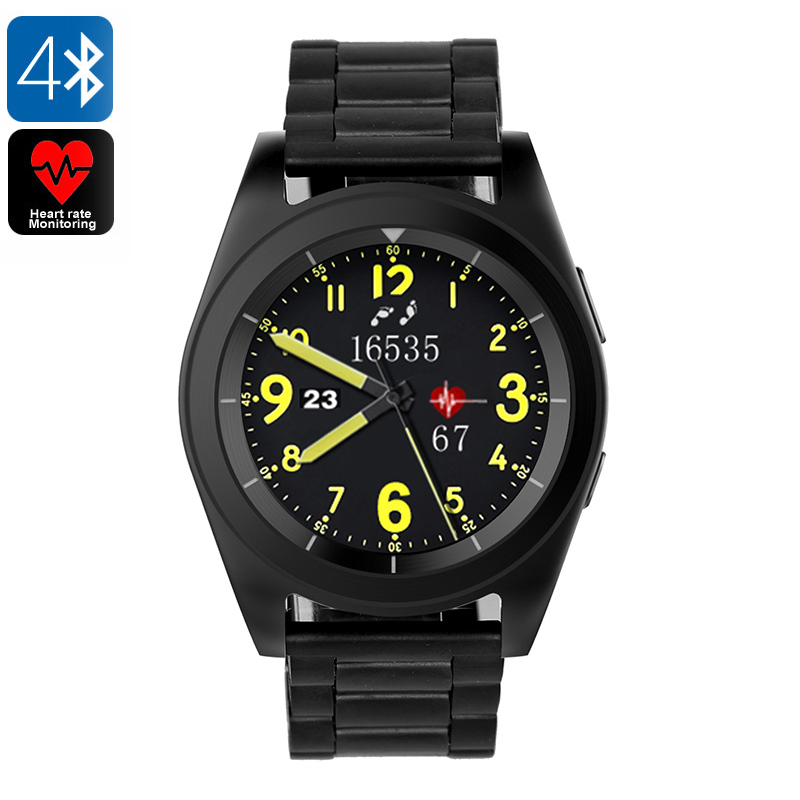 Successfully Added No.1 G6 Bluetooth Watch - Pedometer, Sleep Monitor, Heart Rate Monitor, Sedentary Reminder, Built-in Mic, App Control (Black) to your Shopping Cart. With its stylish design, the No.1 G6 Bluetooth watch is an accessory that you can wear at any occasion. It has a black steel design which gives it a high-end look. It can be perfectly worn in both casual and formal situations. Additionally, it will support you during your upcoming workouts. This Sports Watch comes packed with plenty health and fitness features. Thanks to this, it will provide you with highly accurate information on your body’s status, activity levels, and stamina. From now on, you’ll be able to work towards a healthier future thanks to the No.1 G6 fitness tracker. When paired with your smartphone, this sports watch brings along a wide range of possibilities. Thanks to its Bluetooth 4.0 connectivity, you’ll be able to experience fast and lag-free data transmissions. This fitness band is compatible with both iOS and Android smartphones. Starting from today, you’ll be able to fully optimize your future workout sessions. With its pedometer, this Bluetooth watch allows you to keep accurate track of the distance you cover every day. Additionally, it lets you know how many steps you have taken. Like this, you can be assured you’ll meet your activity levels throughout the day in order to stay healthy. A heart rate sensor furthermore provides you with valuable information on your stamina on which you can adjust the intensity of your workout sessions. With this fitness tracker, you’ll be able to reach your future fitness goals in up to no time. Besides all its smart health features, this sports watch also comes with a built-in microphone. This allows you to make and answer calls straight from your wrist. Additionally, it also shows social media notifications on its 1.2-Inch touch screen display. With this fitness tracker at your side, you’ll always stay within reach to friends and family. Through its speaker, it even allows you to listen to your favorite tracks during your upcoming workouts. A 380mAh battery brings along enough juice to enjoy all the watch’s features throughout the day.